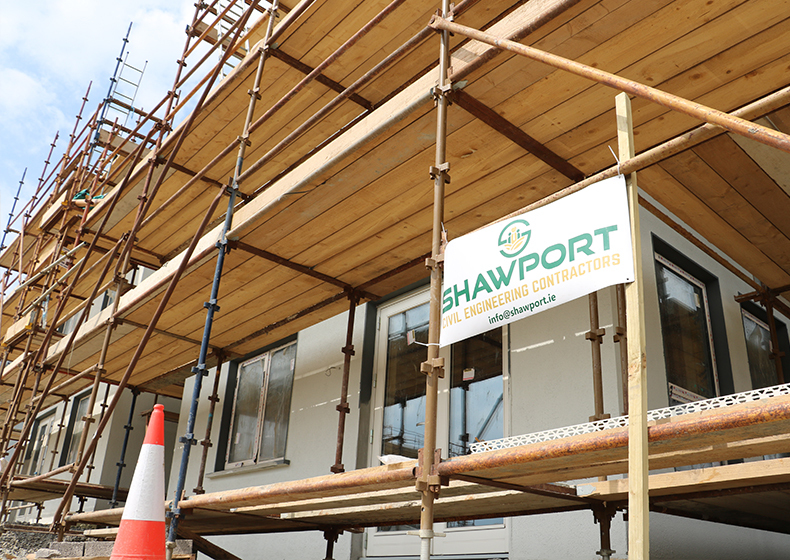 Shawport has been operating in the construction industry since 2002, providing an efficient, professional service while continuing to expand its range of skills and services. Shawport's experience is second to none. With over 40 years experience, the company has established a strong reputation within the construction industry. Our knowledge and experience in different areas of the sector allows us to provide a wide range of construction services to our clients in Louth, Meath, Dublin and more. Our workers each have a set of skills to compliment the Shawport workforce and are able to give advice and insight into various aspects of the construction process. 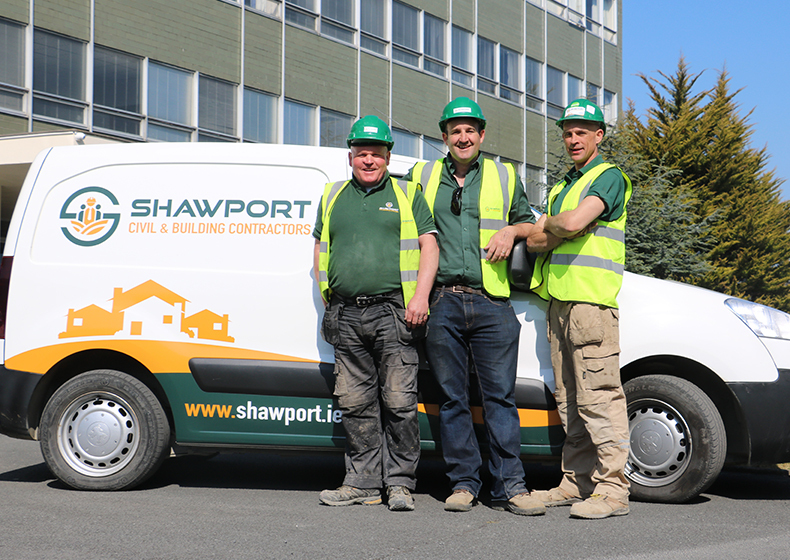 Having worked on hundreds of residential, commercial and civil projects across Ireland, you can rest assured that Shawport have the experience needed to provide a professional, efficient and high quality result. 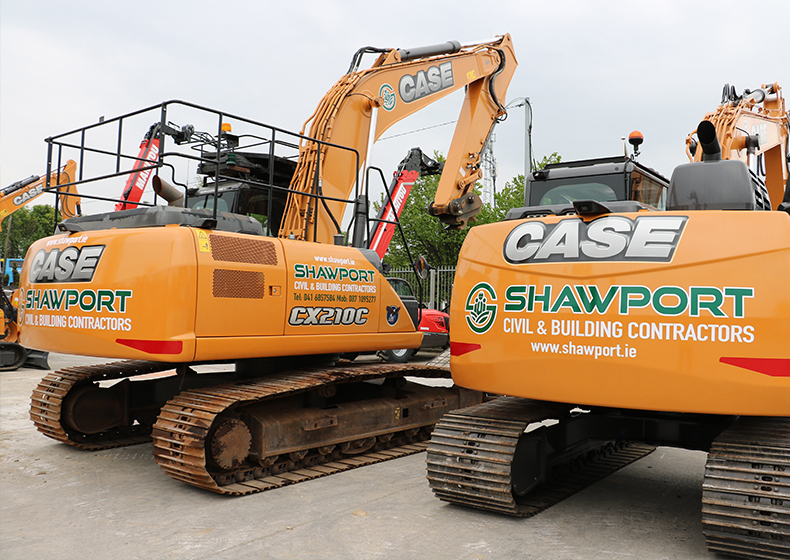 A large portion of Shawport's business is providing equipment hire and for that reason you can be guaranteed that only the best equipment and machinery is used on our projects. Our team have access to high quality tools and machinery via our base in Ardee, Co. Louth. We have established relationships with well recognised manufacturers and our vast range of tools allows us to offer an expansive range of construction services to our customers. Safety is our number one priority at Shawport. We guarantee that each member of our experienced workforce is fully qualified and capable of carrying out the required tasks. We also require all staff to meet our high safety standards. When on site we operate to the highest safety standards possible, ensuring that all work is complete without issue. Our faultless safety record speaks volumes. Adam and his crew have met every challenge with the upmost level of professionalism and their experience is invaluable. We look forward to working with Shawport on our many upcoming projects and would highly recommend them to any potential clients.